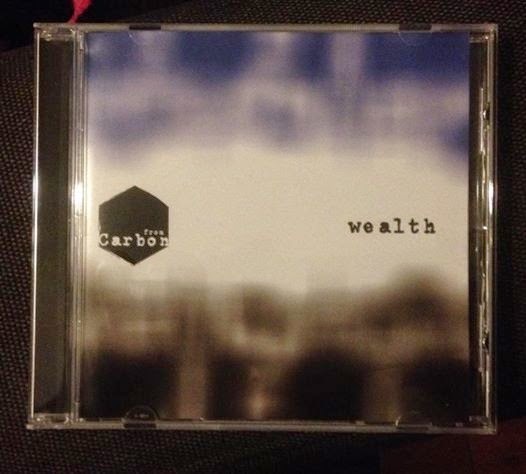 From Carbon recently sold out The Deaf Institute in Manchester for the launch gig of their album Wealth. Chris D Taylor very kindly offered to review the show for us. Collectively, the members of From Carbon have been writing and making music for a long time. They are all experienced, competent musicians and this was obvious to anyone who was present at the launch of their debut album ‘Wealth’ where the Manchester-based band produced a wonderfully accomplished, strong twelve-song set laden with quality which saw them impress and astound their old, loyal fans and hopefully gained them some new followers too during the sixty-odd minutes they were on stage. 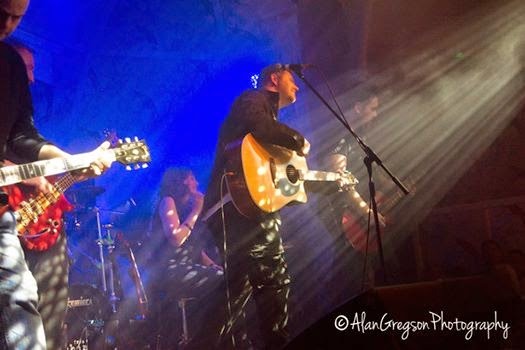 Led by singer-songwriter and occasional guitarist Scott Harvey, the band began with ‘Velvet’ the opening track from their album. Melodic percussion from accomplished drummer Jason Coverdale accompanied with Adam Smethurst’s snarling guitars set the mood for an evening of no nonsense soft rock music. Others followed, like the unashamedly James-inspired ‘Spirit’ and the aptly titled ‘Pure’ with violinist Sarah Hinkley bringing sumptuous strings to the party. Such is this musical diversity that gives From Carbon their appeal and likeability and elevates them above these three-chord guitar, art-school, math-rock outfits spewing vitriol that seem to gain all the plaudits. It would be wrong to label them as pop or rock. They would seem to be a band that has a variety of musical influences amongst their members yet are very much grounded and retain an originality and honesty about their work. The venue suited the band perfectly. Holding a couple of hundred people (the band could’ve easily sold out a place double the size); it had an atmosphere that you can easily lose playing at theatres and arenas. That isn’t to say From Carbon should continue to play smaller clubs, but some things are better played to a handful of loyal, appreciative fans, packed as tight as sardines cheering on a band stood on a stage no bigger than a milk crate, than being miles away in the darkness watching their favourite band on the big screen in an emotionless arena. ‘Mountains’ gave us a quiet moment of reflection. 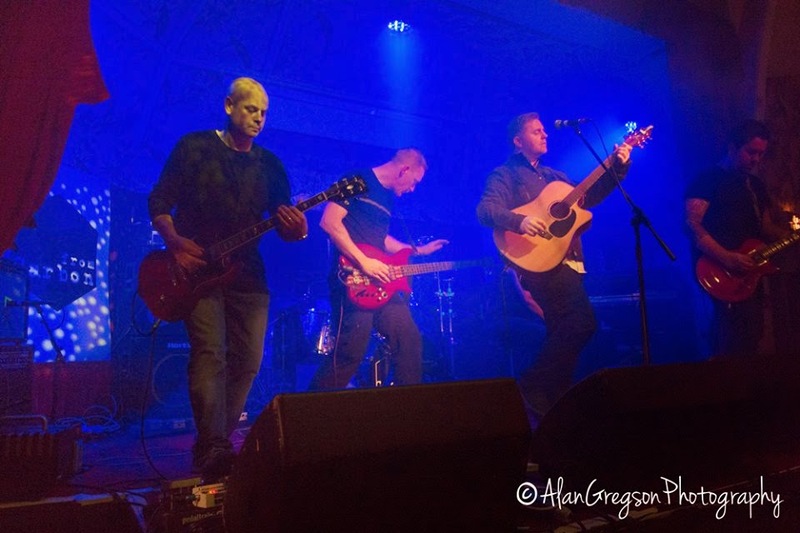 Dedicated to ‘Fudge’ - a close family friend and relative to some – Harvey sang his erudite, meaningful lyrics with passion and warmth in an acoustic led rockier performance before playing the poignant ballad ‘Demons’ - a particular fan favourite. But if there is one song that encapsulates the band, and indeed the performance itself that night, is the gorgeous ‘Sad Apples.’ Fiona McBurnie’s delicate piano licks, Hinkley’s heavenly strings and Harvey’s gentle, honest emotive lyrics sang with real feeling and honesty, it tells a story of mistakes made but with a theme of hope and salvation. For me, it tells the story of how far the band has come to get here, and how far they can go in the future. Wealth is out now on a limited run of 500 copies available exclusively from the band's website. From Carbon's website can be found here. They are also on Facebook and Twitter.